As a remote worker, communicating with teammates used to be a bit of a nightmare. Sometimes my colleagues and I would communicate via email or Skype. Some of our files were saved on Google Drive, while others were in Dropbox. “So we tried Slack.” And never looked back. From early stage startups to those putting robots on Mars (like NASA), Slack has become to go-to communication tool for tens of thousands of teams worldwide. If you’re using Slack, then you’re probably using it a great deal every day. But did you know most people only use 20% of its capabilities? 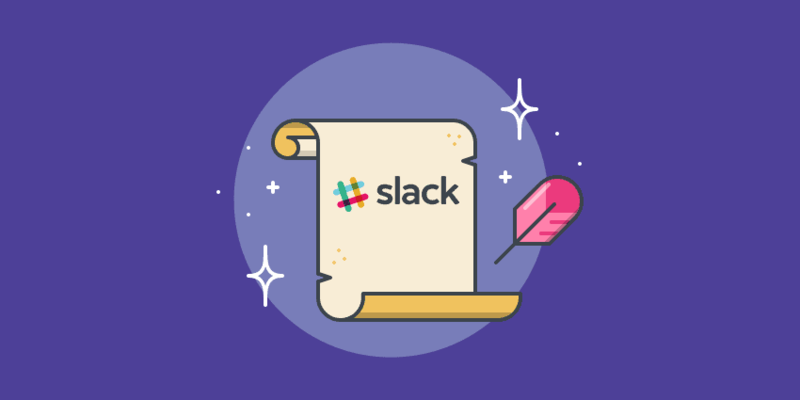 Okay, that percentage may not be completely true, but there are a lot of time-saving, productivity-boosting Slack tricks, including many cool tips you may not know about. In this post, we’ll guide you through our favorite Slack hacks, tricks, and integrations to get your remote team productivity through the roof. Slack is full of great shortcuts and tools. Sometimes, you have to dig a little below the surface to get the most from it. These Slack hacks will help you to better organize your workflows and do things a little faster. With so many conversations going on every day, reminders in Slack are a real life-saver. When you’re working in a fast-paced environment, the odd typo or mistake will be sure to creep into your messages. However, if you want to edit your last message, simply press the ‘up’ arrow key on your keyboard and your message will go right back into the text box for you to edit. Keeping up with your mentions across every Channel can be a tough task. 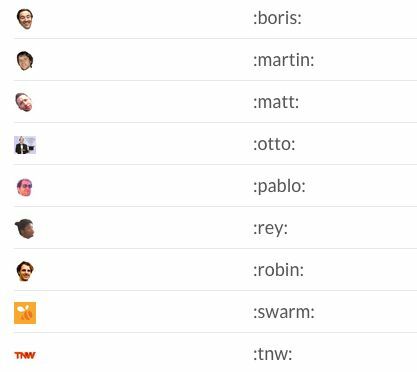 Clicking on the @ button in the top right corner of Slack will give you one tidy list of every time someone has mentioned your name. When you’re speaking over IM, formatting is vital to make your messages easy to read and emphasize what you want to be understood. To format, wrap you text in: *asterisks* for bold, _underscores_ for italics, `accents` for code, and start the line with a “>” sign to make it a blockquote. You’ll notice the formatting hints pop up underneath the text box as you start writing. Every message, file and comment within Slack can be starred. As you work through your Channels, add stars to anything you need to reply to or take action on. You can then click the Star button (top right corner) to view all of your starred messages ordered by time. 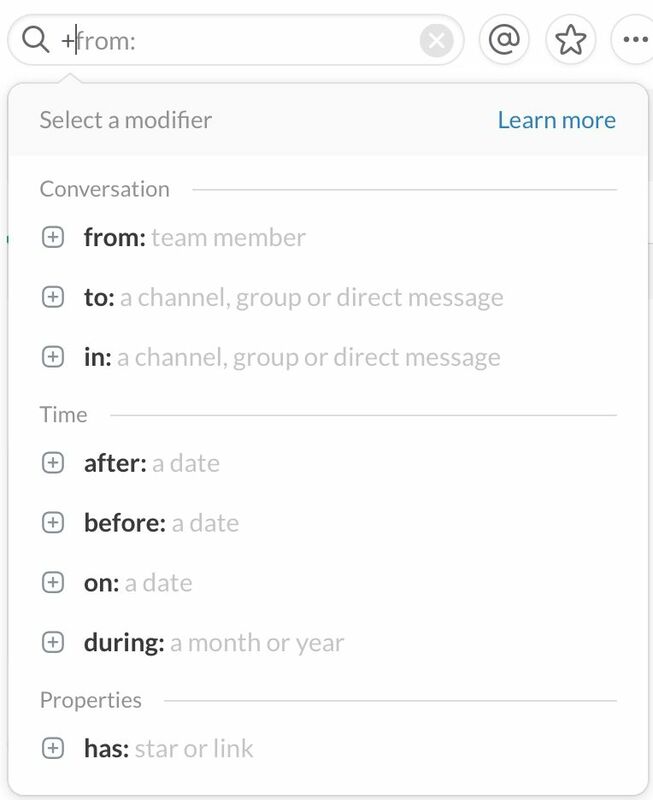 Before learning my way around Slack’s search modifiers, finding what I was looking for often turned into a large time investment. Now, search modifiers have made it 10x faster. You can use modifiers like “in:#channel” or “from:user” or “has:star” to narrow your search field in seconds and to view all search modifiers simply type ‘+’ in the search bar. Find a full list of modifiers here. 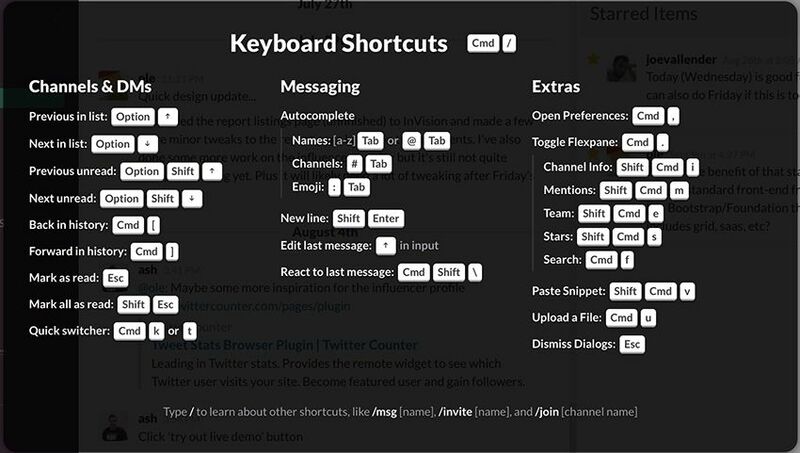 There are so many extra awesome keyboard shortcuts in Slack. To view them, press Cmd + ? on Mac or Ctrl + ? for Windows. I find the auto-complete shortcuts particularly useful. You can check all of Slack’s shortcuts here. In their own words: Slack is most useful when you can see everything your team is doing, which includes all the tools you use outside of Slack! These integrations allow users to automatically pull information and activity from outside tools into Slack in a way that’s timely, relevant, and searchable. Here are 7 of our favorite ones. Intercom allows you to engage users with targeted email and in-app messages, ask for feedback based on user behavior, and provide better and faster customer support. This integration allows your team to receive updates in a Slack channel when you receive new Intercom messages and replies from your users. You can also be notified of admin activity like adding notes and assigning conversations to teammates, keeping you aware of activity in your team’s inbox. Asana is a task management tool for teams. Integrating Asana with Slack will allow you to send updates to chosen channels when a task is created, completed, or gets a new comment. One fantastic feature about this integration is that you can use the /asana command to list tasks, create new tasks, assign tasks to others, complete a task, and comment. All from directly within Slack. 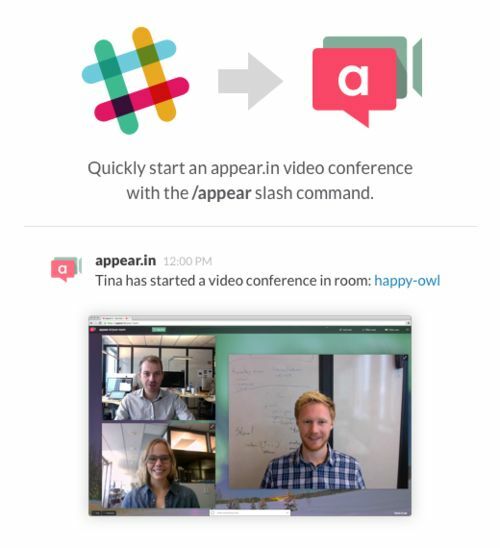 appear.in provides one-click video conferences right in your browser without requiring PIN codes or additional software. This integration lets your team use the /appear slash command to start a video conference in your channel, making it easy for others easily join the call. Trello is a collaborative task and project management service that uses Lists and Cards to organize your team’s projects. This integration will allow you to receive updates in a Slack channel when activity occurs on Trello cards, lists, and boards. There are many options below for you to fine-tune which events are posted. Pro tip: link Trello boards with Hubstaff projects and track time to your cards. Screenhero is a collaborative screen sharing app, letting your team work together like you’re at the same desk. With Screenhero, you can code with others remotely, iterate on designs effortlessly, and get quick help from your teammates. This integration connects with your Screenhero account and allows you to start a screen sharing session with a teammate by typing /hero @username. Google Drive is one of the most popular integrations on Slack. This integration allows you to import Google Drive files by pasting the file’s URL into Slack. Integrating Google Drive with Slack makes document sharing smooth and easy. Pasting the link to a Google Doc in Slack will make it available for anyone in the channel and give additional information on the link instead of just a blind URL. Giphy support is built right into the chat client so you don’t have to do any dev work to set it up. To activate it, just type /giphy hello into any Slack chat (channels, DMs, and private groups all work). Once activated use the /giphy slash command to search for a GIF. For example “/giphy thumbs up” and the integration will display a relevant GIF in your channel. Slack’s integrations are a huge part of its brilliance, and 99% of the essential tools your remote team uses throughout the day will likely integrate with Slack. For example, Dropbox, Google Drive, Trello, GitHub, Intercom all have slick integrations that can save you a great deal of time. Slack also allows Slack Bot integrations. These amazingly simple plugins can help automate tasks and save you an incredible amount of time. Working across different time zones can be tricky. When you suggest times for calls or meetings it can get confusing trying to calculate time zones for various team members. If you work with a distributed team, I’m sure you’ve thought: “What time is it in [Location]?” before. TimeLord, built by Baremetrics (a remote team spanning six different time zones), solves that problem. Once setup, you can type #e,#p,#m,or #c in your Slack channel and TimeLord will post the time in various time zones, removing any confusion and saving you valuable time. Hubot is a chat room that has hundreds of different uses and is one of the coolest integrations you can use with Slack. Some Hubot tasks might be automated, like daily reports on user logins, while others can be performed in response to messages posted by other users in the chatroom. Team member: @Hubot How many new users signed up yesterday? The real magic of Hubot is that you can create your own scripts and make your integration totally unique to your team. You’ll need some technical input to get it set up, but once your Hubot is automatically translating languages, posting pictures, posting updates and joining in with team jokes, you won’t regret it. Convergely is a super-powerful Slack bot that allows you to schedule messages, annotate images, delegate tasks and create polls. It can be extremely useful for scheduling messages to teammates in different timezones. For example, messaging a colleague +8 hours behind me could easily get lost if I send it when they’re asleep, but with Convergely, I can schedule it to be sent as they start their work day. I personally love the polls as well and use them as a way to gain quick feedback on anything from title ideas for my latest blog post to location ideas for team retreats. Once you’ve connected Convergely to you Slack account you simply enter /keo in your Slack text box and your new commands are ready to go. Meekan matches everyone’s calendars, and quickly finds common free times. Once you’ve added Meekan to your Slack Channels, you simply ask for a meeting and the bot will scan team calendars and suggest the best times. As a remote team, Slack is a place to connect with you team and have a little fun as well. Along with all the productivity-boosting tips, I wanted to share a couple of simple hacks for having a little fun within Slack and make it feel like home for your team. There might not be an official emoji for your favorite office snack yet, but you can add one. Slack allows you to create custom emojis. All you need is the name you’d like to use as a shortcut (e.g. :tacos:) and a 128px x 128px square image. You can set some up by heading to this URL. 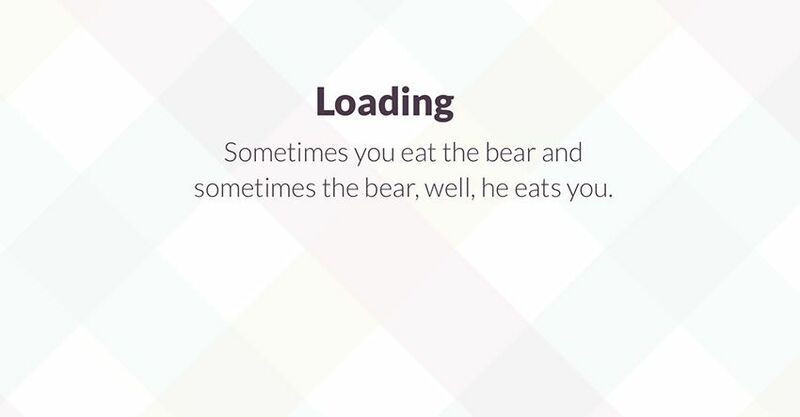 Slack’s loading messages are such great fun and extremely personable. They often put a smile on my face when I open up the app each morning. Just like emojis, Slack allows your team to customize welcome messages. Want to put something motivational? Or maybe have some fun and joke around with your colleagues? All you need to do is head to this URL and set your own loading message and it’ll be randomly selected from the available messages every time Slack is loaded. I hope you picked up some cool tricks from this post. Slack is such an amazingly useful app for remote teams. If you’re looking for awesome remote team members or remote work, we recently launched a 100% free directory for companies to find the world’s best remote talent – Hubstaff Talent. If you have experience working remotely, you definitely check it out. If you enjoyed this article, you may also want to learn how to communicate in a virtual team, read about the characteristics of a great remote employee, or check out how we use Trello to collaborate and manage our projects. Ash is the co-founder of Nudge and PostReach. When he's not writing you can usually find him on a basketball court or football pitch. Follow Ash on Twitter here.